Home / News / Calling Junior Rangers! Exciting new opportunities are beckoning for young people keen to look after the Peak District National Park by becoming junior rangers. We are looking for young people, aged between 11 and 18, to join groups at Marsh Farm near Tittesworth Reservoir, Longdendale near Glossop and our new group at Langsett, South Yorkshire. We also have groups at Millers Dale and Edale. The Langsett Junior Rangers programme starts in May and, to give potential recruits an idea of what’s involved, we are holding a free taster session on Saturday 16th March (1pm to 4pm). The event will be at Langsett Barn, off the A616, at Langsett. 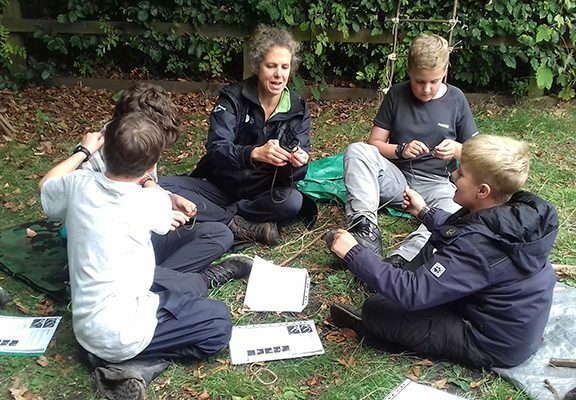 Peak District National Park youth development officer, Carina Humberstone, explained: “Our Junior Ranger programme has been refreshed and reworked, providing great opportunities for young people. “Junior rangers have the chance to explore the Peak District, working alongside adult rangers on practical tasks, while having fun and learning new skills with people of their own age. “Their work includes patrolling our trails, taking part in events and helping members of the public. The new programme encourages junior rangers to gain a first aid certificate and nationally recognised navigation qualifications, whilst learning to lead others safely, to talk to the public and to balance the needs of conservation and recreation. “These skills will benefit young people in any future employment, including roles within tourism and education. The activities will particularly suit those with an interest in outdoor or practical jobs such as public services, outdoor instructors and any roles within conservation and land management. We have teamed up with the Eastern Moors Partnership and the National Trust at Hardwick Hall to develop the programme and share events and opportunities between the groups. We would also like to hear from people interested in helping out as a volunteer with the groups.